The album, which received five stars from Q Magazine. on its original release, has sold more than 600,000 copies in the UK alone and went straight to No. 1 in the charts. The band - unavoidably detained in Los Angeles broadcasting live to half the planet on YouTube - sent a video thanking Q for their support and also accepting the award on behalf of producers Daniel Lanois and Brian Eno. 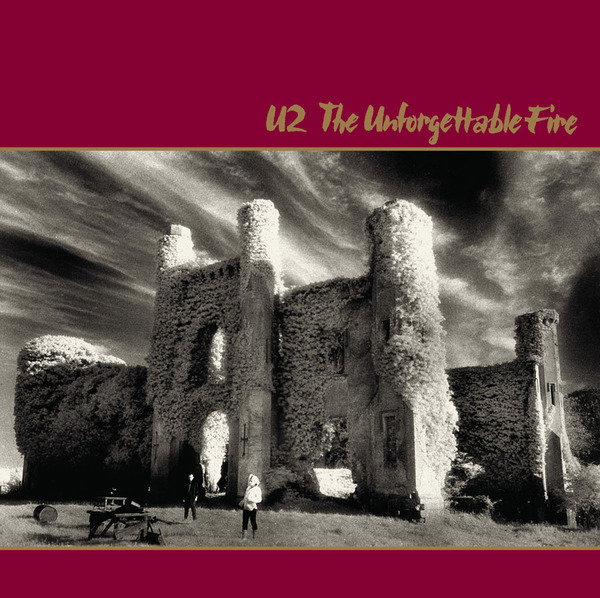 Today's special edition of The Unforgettable Fire marks 25 years since original release. Recorded at Slane Castle, Ireland, it featured two top 10 UK singles - 'Pride (In The Name Of Love)' and 'The Unforgettable Fire'. Special formats of the new release include bonus audio material, including two previously unheard tracks from the Slane Castle sessions: 'Yoshino Blossom', and 'Disappearing Act' (a track which the band recently completed), and a DVD including music videos, a documentary and unreleased live footage from the Amnesty International Conspiracy of Hope Tour in 1986. Check out the microsite and watch the video here. Read more about the release details here. this was the first of the u2 dream it all up again masterpieces..so bold and brave.War part 2 would have killed the lads artistically . I love the song Wire on The Unforgettable Fire album. Bono's energy is at it's peak! Is there a video of him singing this version? an incredibly poetic album: a truly deep and inspiring piece of music....! Brilliant. It was Bob Dylan's comment about how much he liked "The Unforgetable Fire", that started me listening to U2. Once again Dylan opened my mind to something new and terrifically effecting! If he only knew what he had started. Seriously this album changed my life! It still holds up (like all their music) after 25 years! The beginning of the U2 ascendancy!!! Great album. Great songs, singing, playing and production. An album ahead of it's team. Brillant!!! This album is U2 at their best! This is a benchmark album that others can only dream or aspire too.? Only Elvis & The Beatles are in this league! Love The Unforgettable Fire. Can't wait to hear the new tracks. PLEASE COME BACK TO BOSTON!!! !